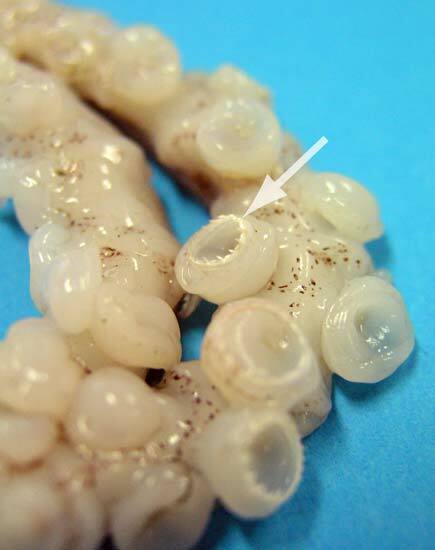 This close-up of an arrow squid’s suckers shows its inner ring of hooks. To quote Neo from "The Matrix": "Jesus Christ that thing is real??!!!" I just started looking up squid tentacles for reference for a drawing and had thought about maybe putting teeth/spikes inside the tentacle suckers but I had nooooooo idea it really occurred in nature. Crazy.